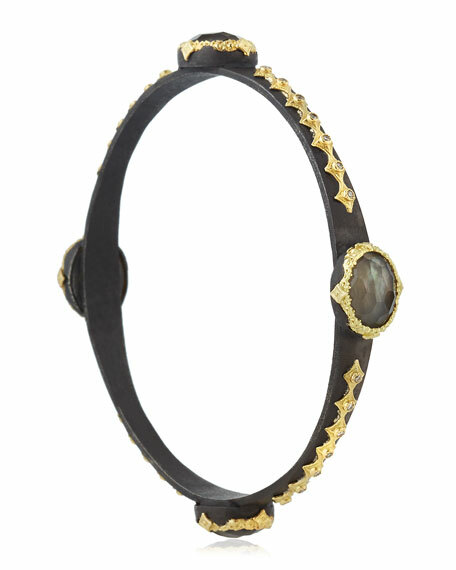 Armenta bangle bracelet from the Old World Collection. In midnight oxidized sterling silver with 18-karat yellow gold scallop detail. 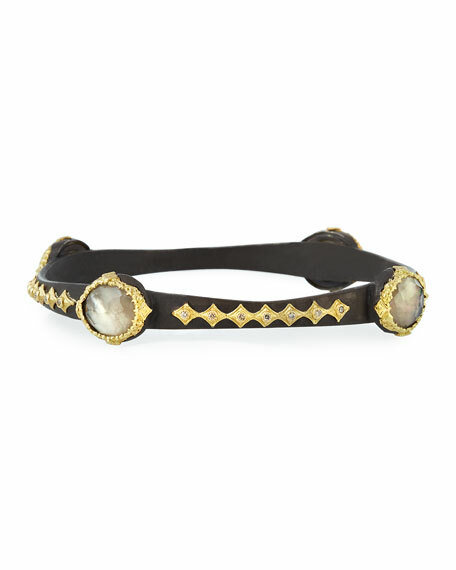 Four round Light Smoky Quartz/White Mother-of-Pearl doublets. Champagne diamonds, 0.34 total carat weight. For in-store inquiries, use sku #2080821.